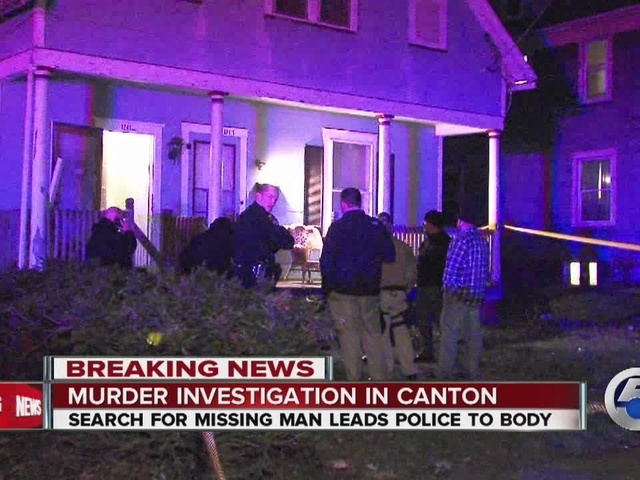 Canton Police have arrested 36-year-old Lance Levi Rankin for the murder of a missing man. Rankin was wanted by police after they discovered the body of a missing man inside a home in the 1200 block of Worley Street. Police say they received a tip from an informant and executed a search warrant late Friday evening, which led them to the dead body inside the home. The name of the male victim is being held pending notification of the family. Canton Police told newsnet5.com they spotted Rankin's car heading northbound on Interstate 77 just before midnight on Friday. Police initiated a stop, but Rankin took off. The Ohio State Highway Patrol then became involved. They deployed road spikes to help stop Rankin's vehicle. Troopers said Rankin swerved to miss the spikes and crashed into a parked cruiser on the side of the highway. Rankin suffered non-life threatening injuries. He was taken to the hospital, where he remains in custody. Police said Rankin has a lengthy criminal history, and several outstanding felony and misdemeanor warrants. Capt. Jack Angelo said Rankin lived in the home where the body was discovered, but the victim did not. Angelo said it is clear this is a homicide, but at this point, the exact manner is unknown. The Bureau of Criminal Investigation arrived around 10:15 p.m. to process the crime scene.